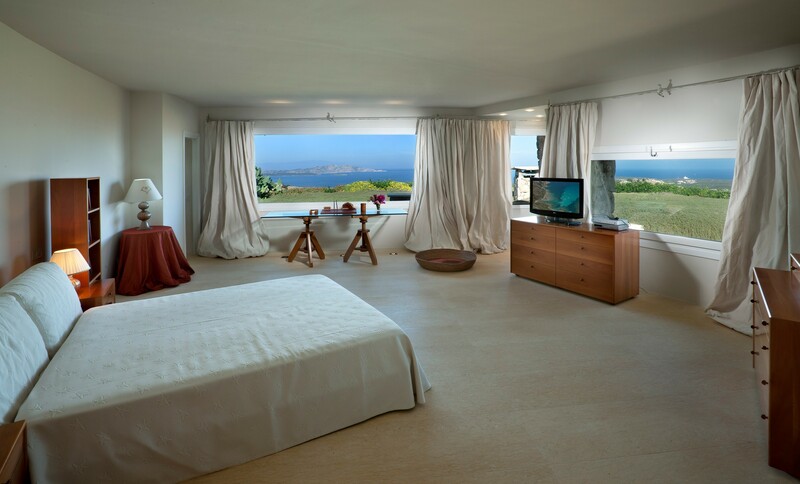 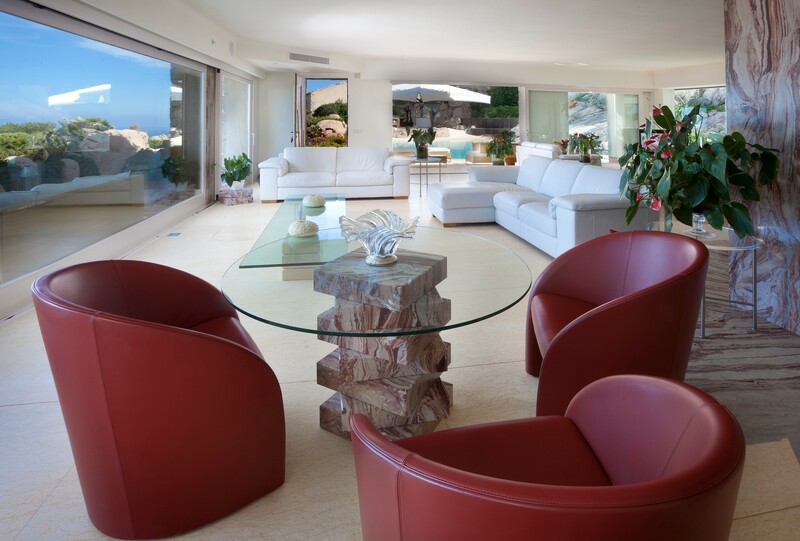 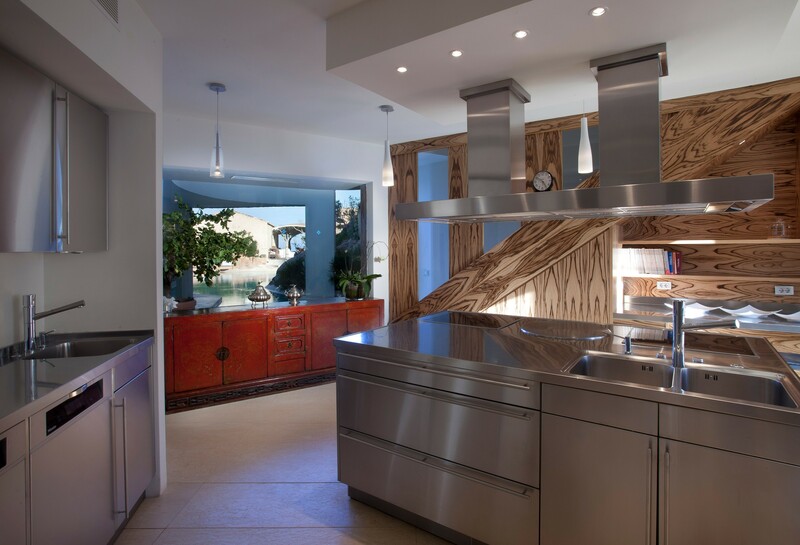 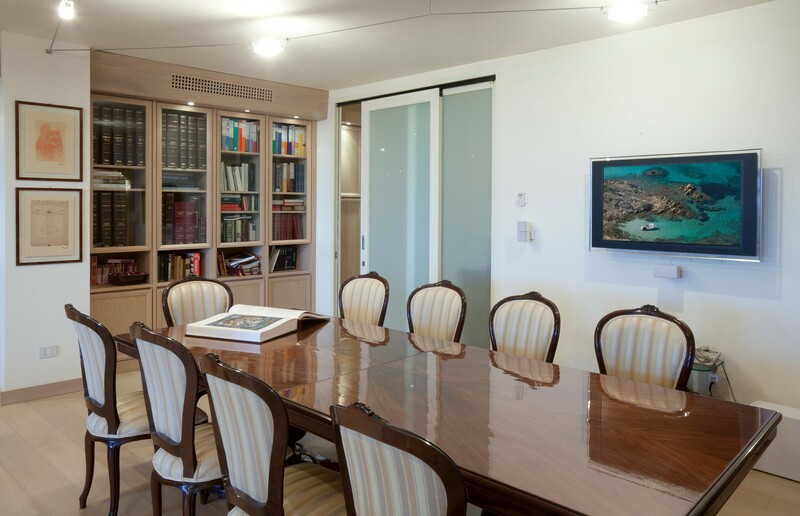 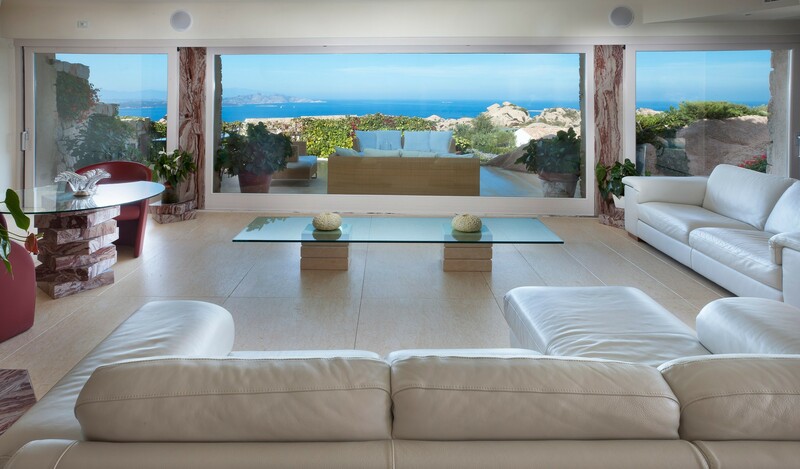 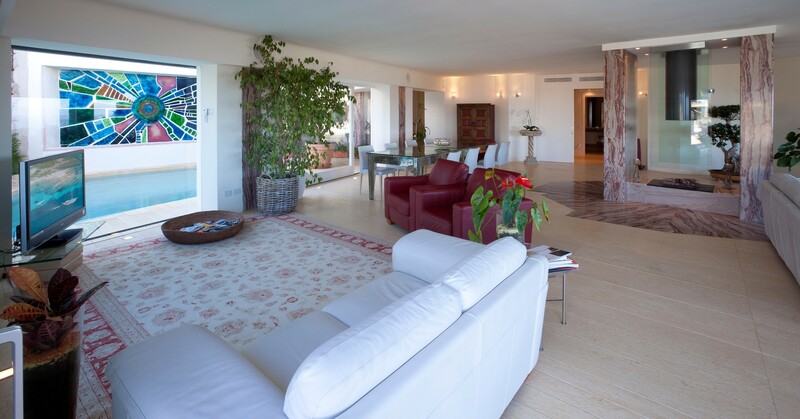 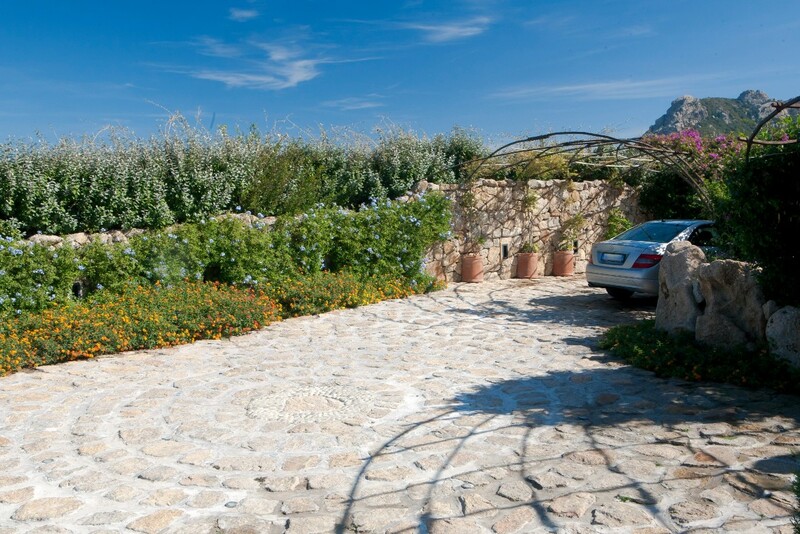 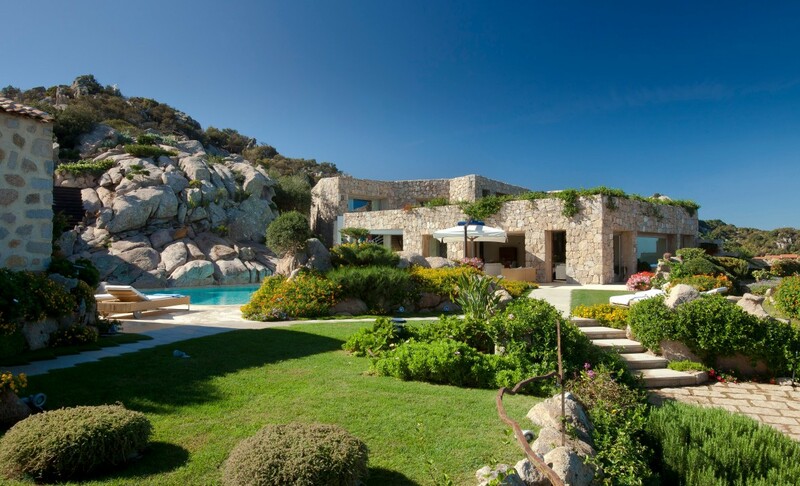 Contemporary design and the best view of Porto Cervo This Villa is located on a hilltop position right above the area of Liscia di Vacca granting a fabulous 270° view that goes from Tavolara Island well over to the close Corsica coastline. 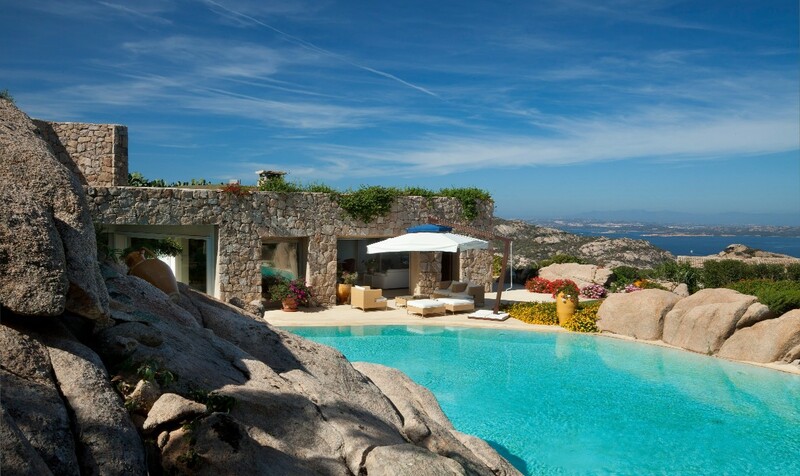 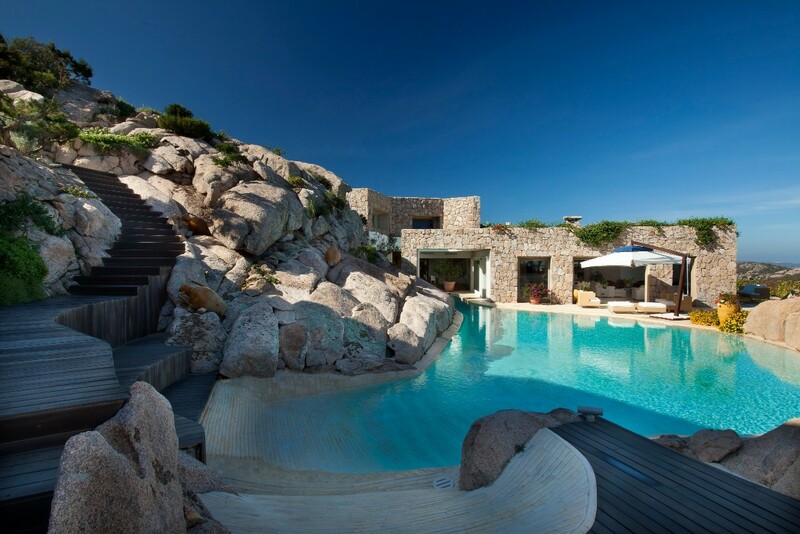 Porto Cervo is at only five minutes drive, so the best beaches can be reached very quickly. 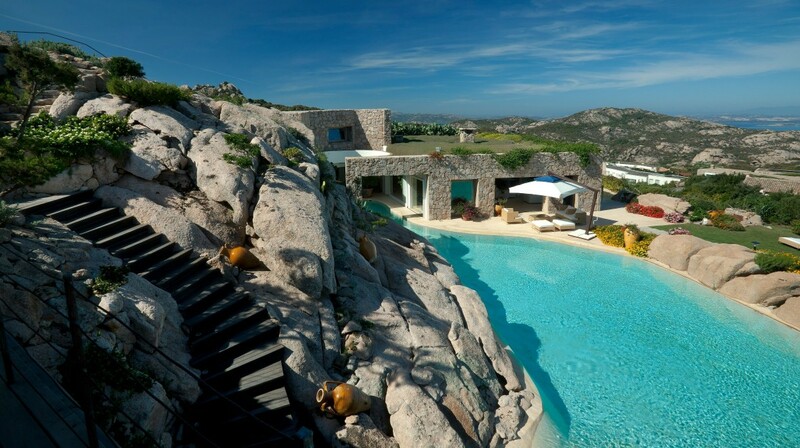 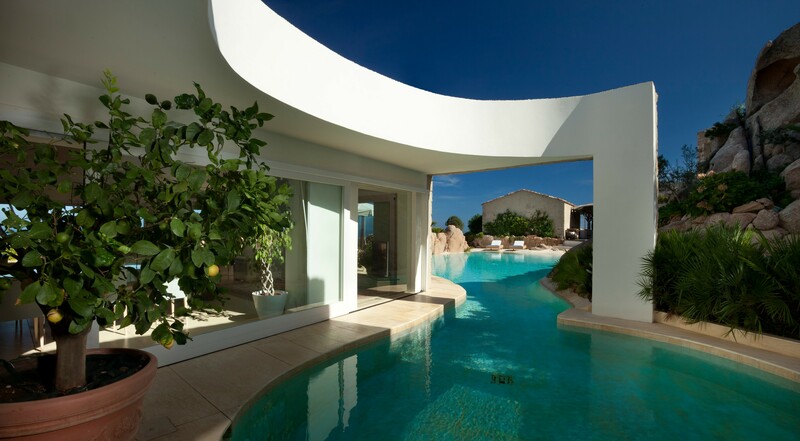 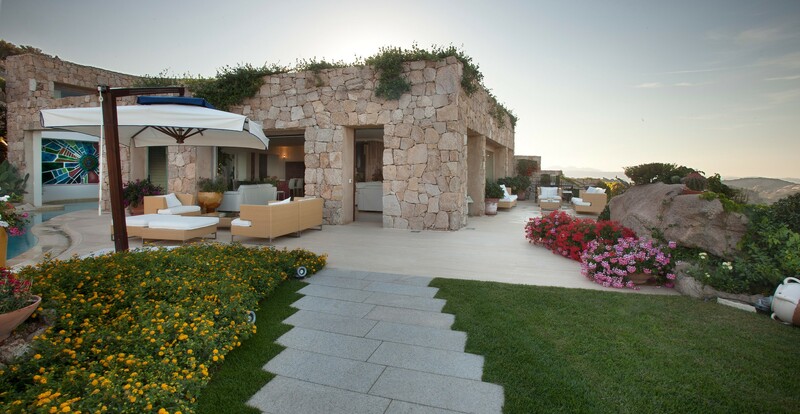 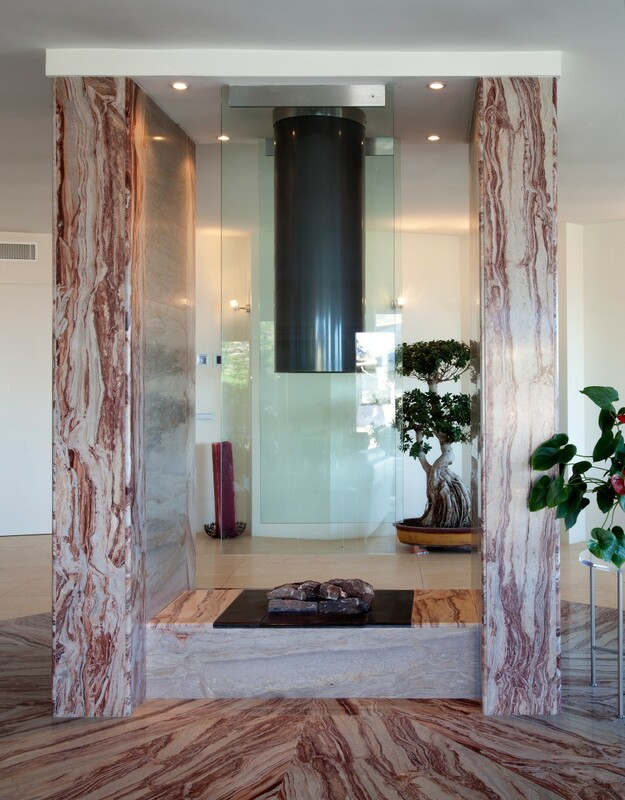 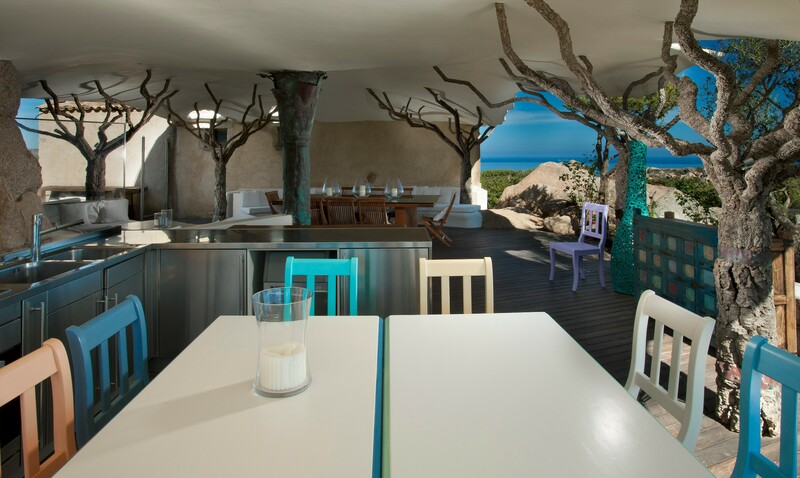 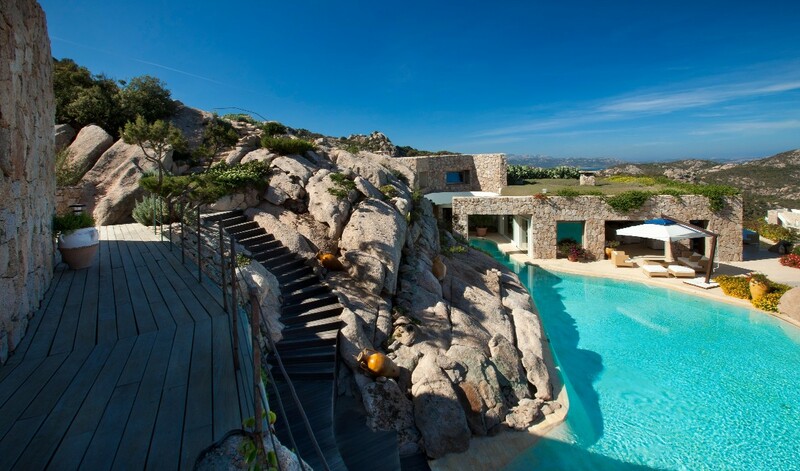 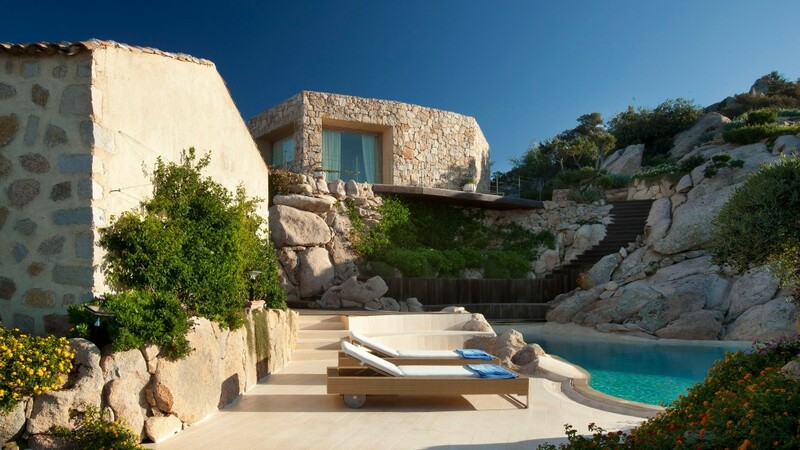 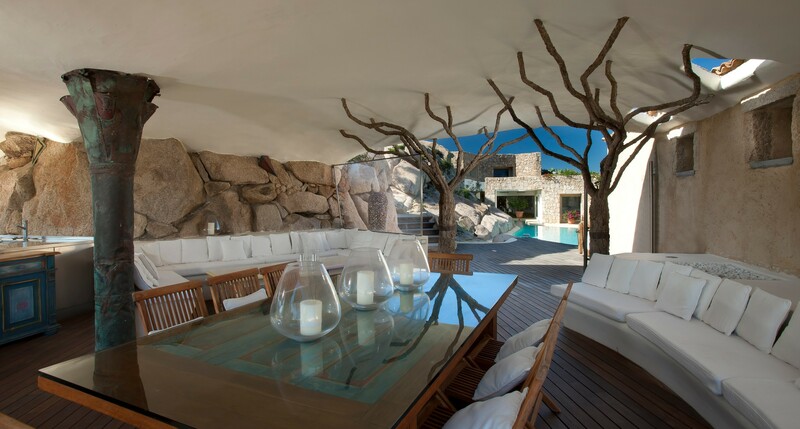 A new trend of architecture and style has finally arrived in Sardinia; this is the perfect example of how great design can be mixed with the local nature. 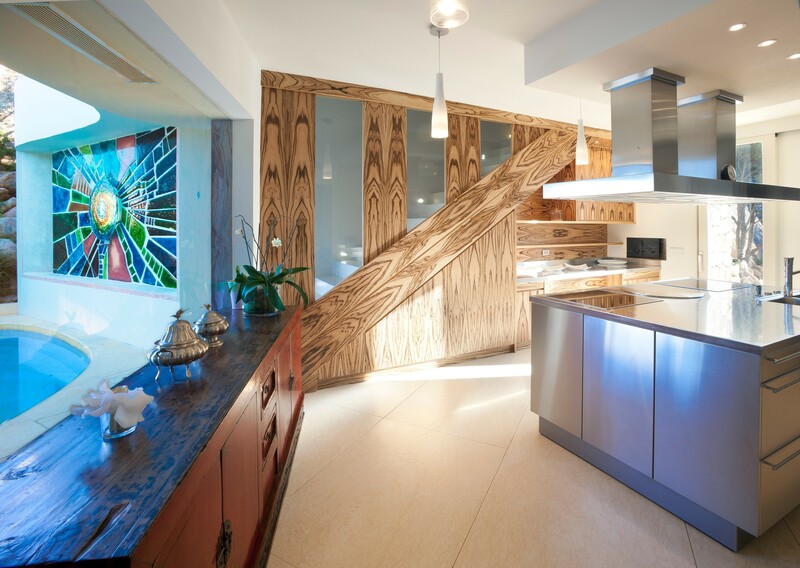 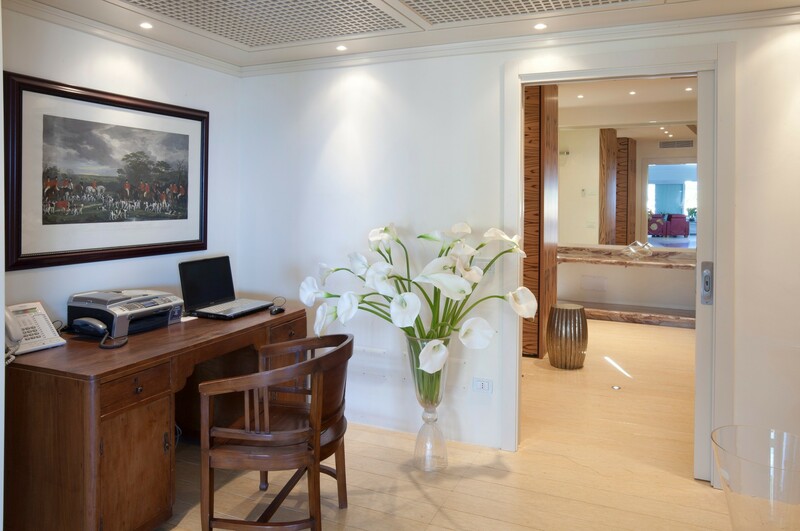 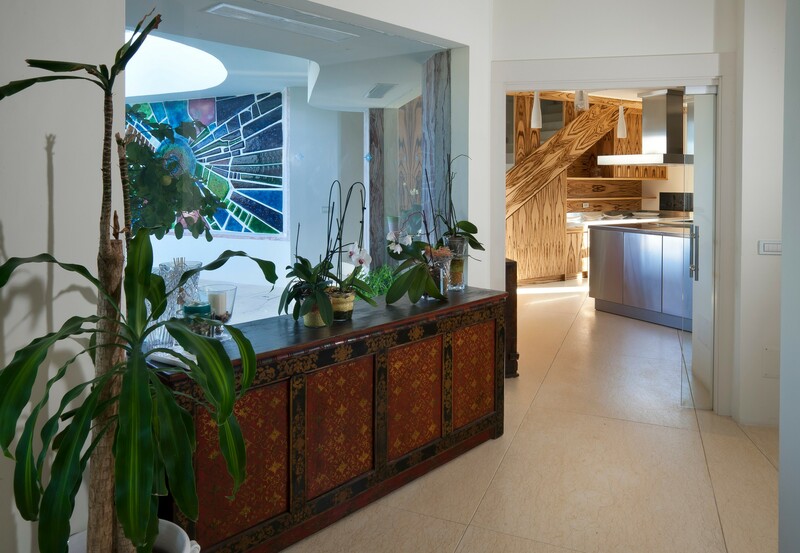 Wide living spaces in every room , games of light creating an incredible atmosphere all day long ; the use of local materials and best technology has been used to build this fantastic property with extreme luxury and style. 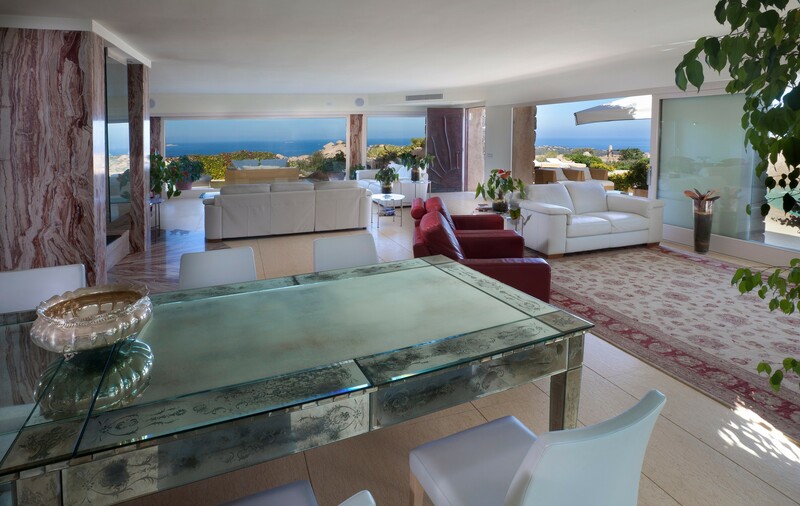 Large open plan living and dining area with central fireplace, opening onto a large outdoor living terrace and pool area, fully equipped kitchen, master double bedroom with two ensuite bathrooms and office area, guest toilet. 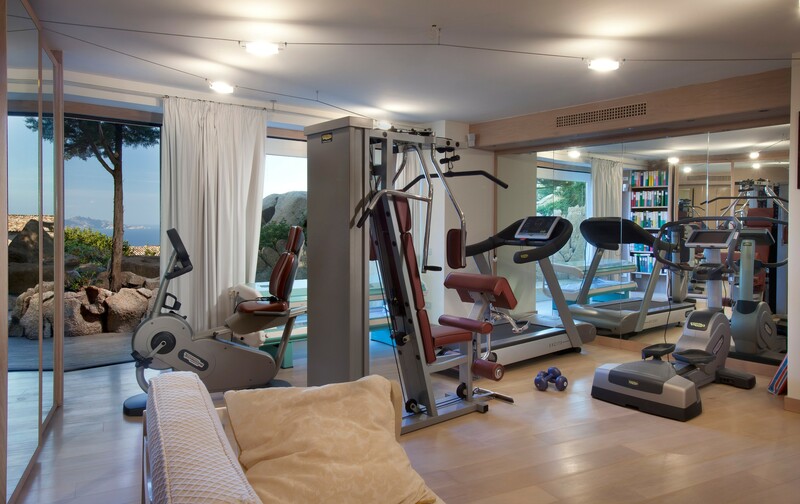 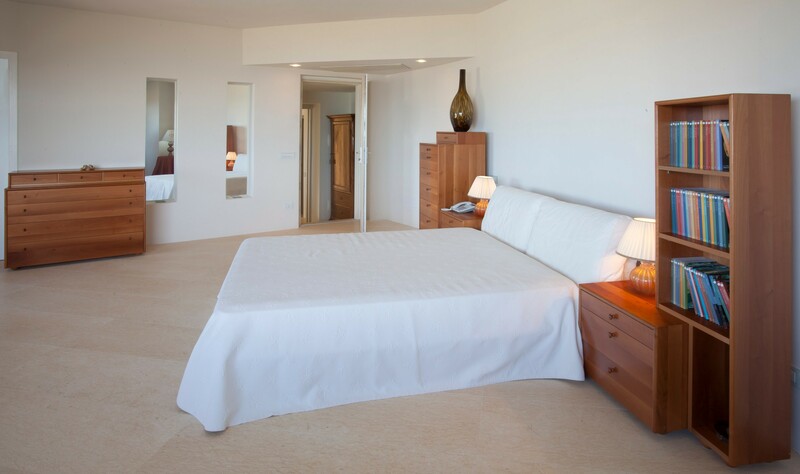 Double bedroom, gym equipments, guest toilet, laundry room/staff bedroom with bunk beds and bathroom. 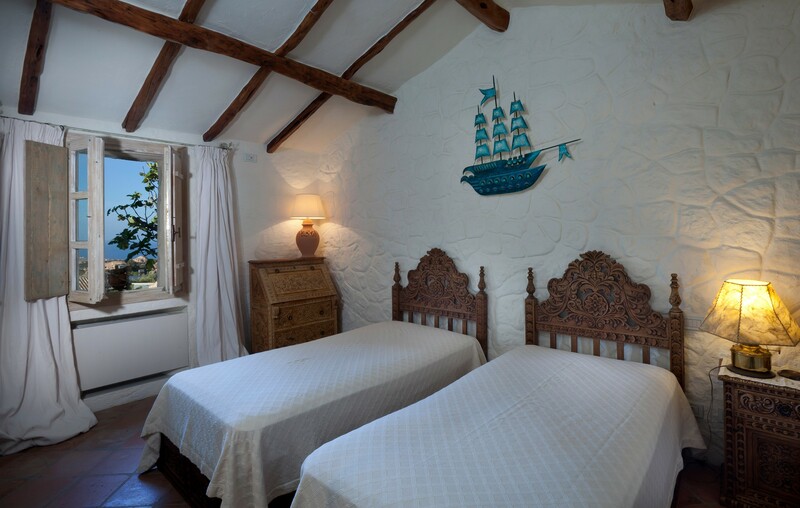 Located above the main house with independent access from the pool area including a double bedroom with ensuite bathroom (shower) and desk and one double bedroom with ensuite bathroom (shower) and walk in wardrobe ( gym equipment can be moved here on request). 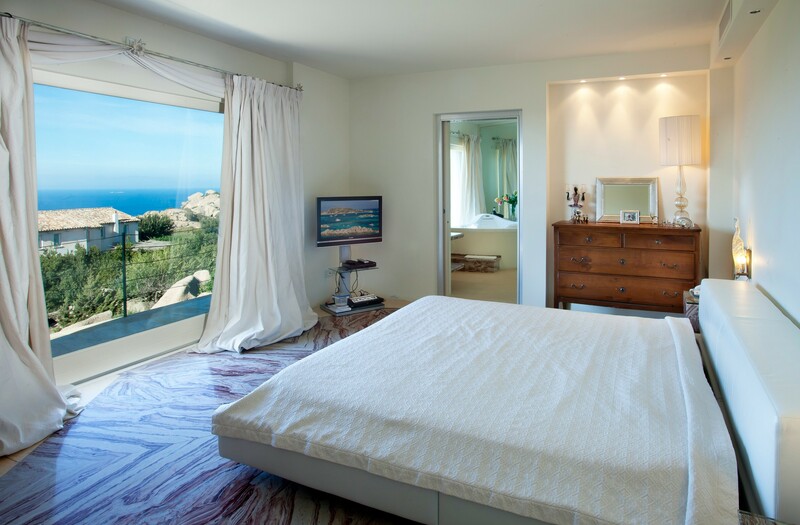 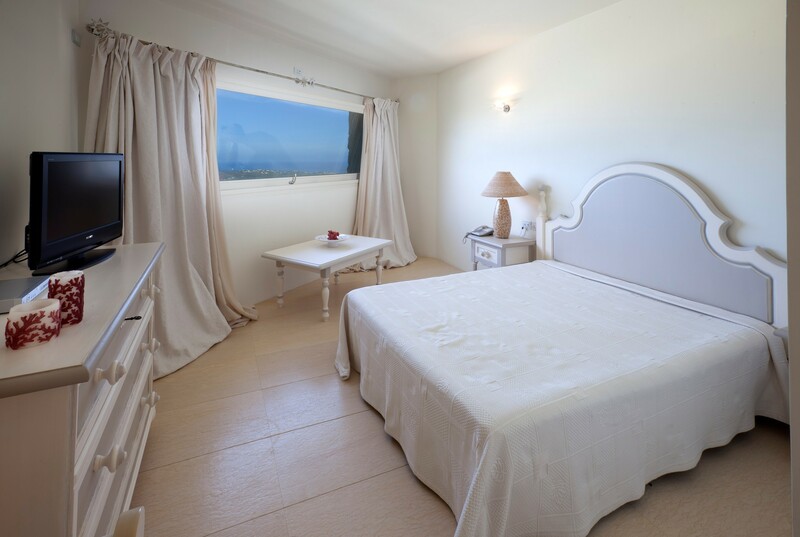 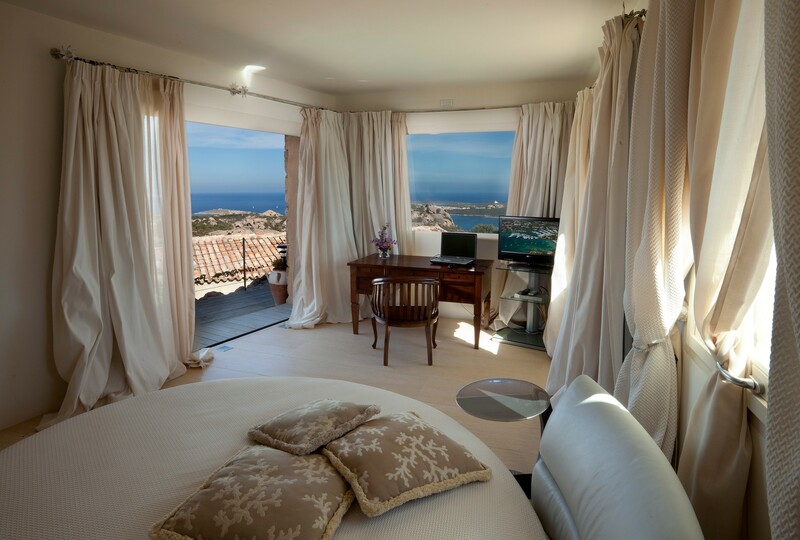 Both bedrooms have got plasma TV and private terrace with sea views. 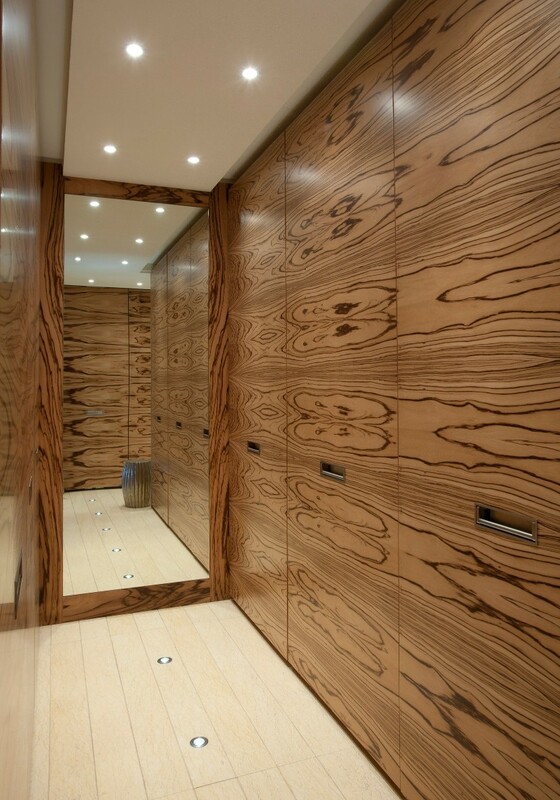 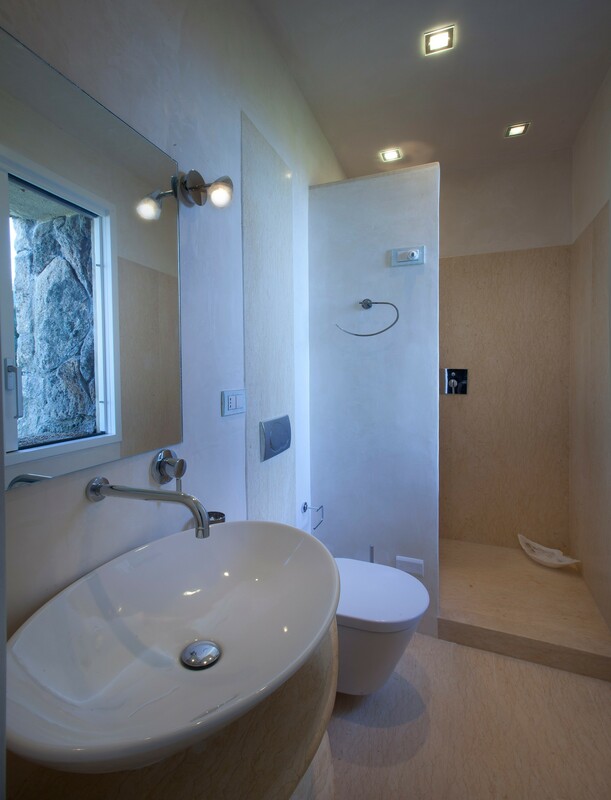 Two twin bedrooms en suite bathrooms (shower). 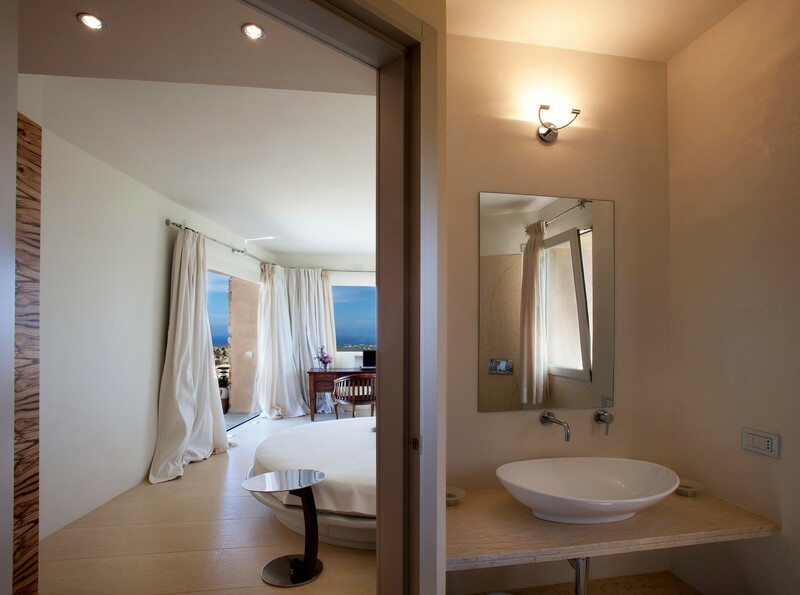 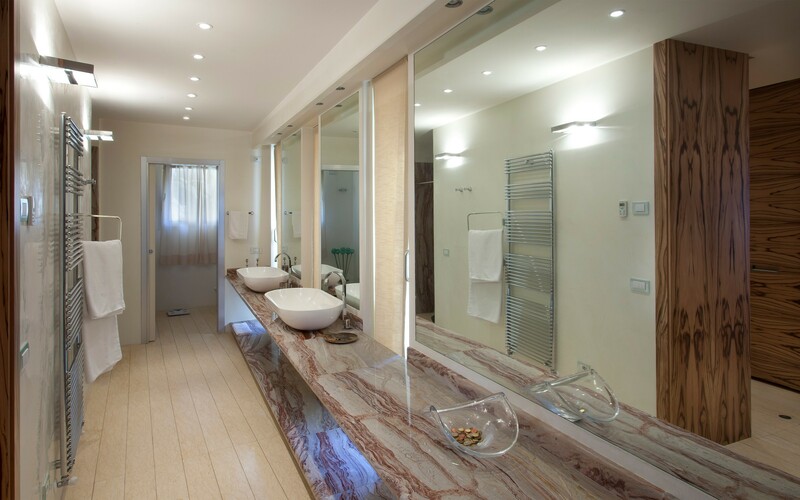 Double bedroom en suite bathroom (shower) with private terrace. 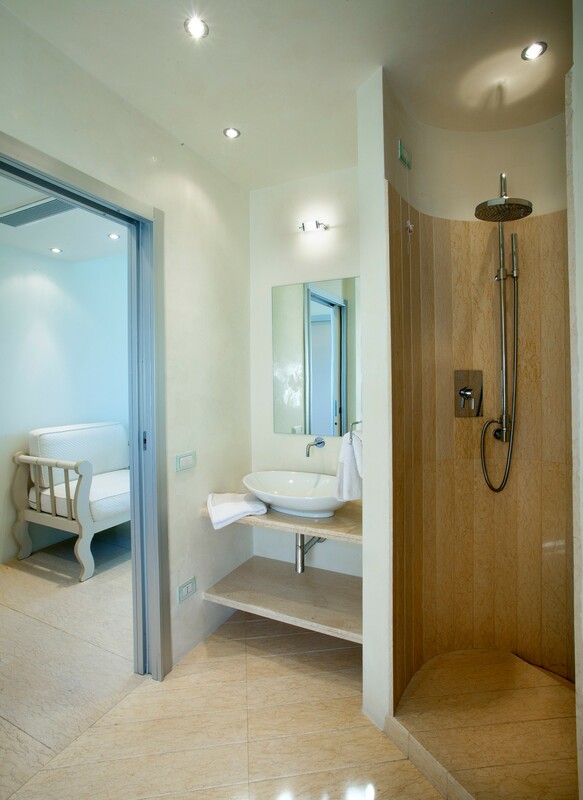 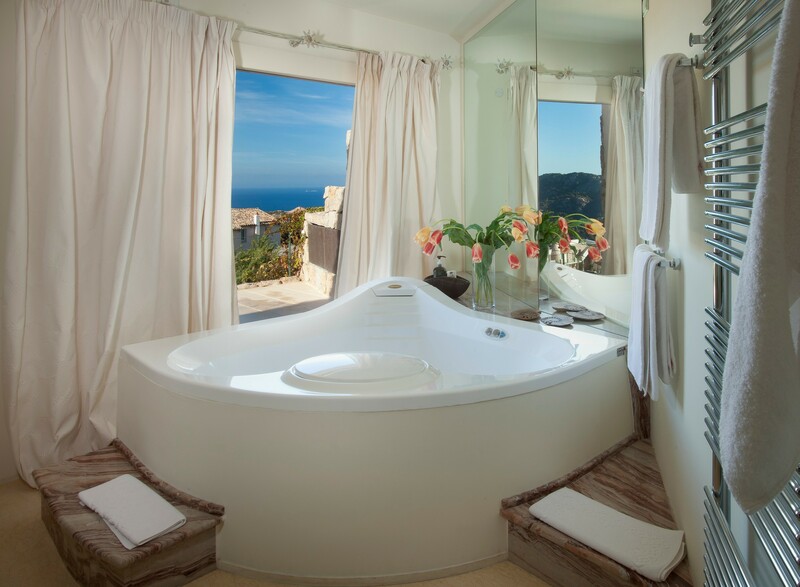 Two queen beds en suite bathroom (shower) with private terrace.